Shimla Hills feels proud and is escalated with merriment as it announces that it has earned its spot in the Global Guava Market Report of 2017 as one of the key sellers in the Guava Market. The report provides an extensive research study on the current scenario of the Guava market of the whole world. It also offers an overview classifications of Guavas in the market, their applications and the chain structure of the Guava Industry. Guava Market report also contains development plans, policies, manufacturing process and price structure. 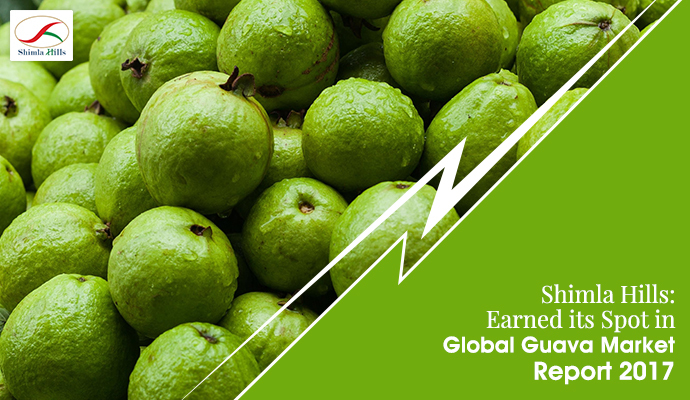 It analyzes the Guava market scope, market share, and potential shares. the Global Guava Market 2017 declared and recognized Shimla Hills as one of the key sellers of the industry. We, at Shimla Hills, one of the leading names in the agro-products Industry, always endeavor to offer quality Guava processed products such as Guava Pulp (white & pink), White Guava puree concentrate, IQF Pink Guava Dices and various other agro-products. Our uncompromising commitment towards quality, fair trade practices, and transparent dealings have led us made a strong impact in the industry. We pledge to adhere to our core principles and serve our clientele with quality products at a competitive price.